Martin Paradis (Unity Technologies) explores our upcoming Storytelling tool and the extensible architecture it’s built on. Easily create reusable sequences, full-fledged cutscenes, procedural audio clips, customs clips, tracks, how to build rich animated scenes. He goes through exactly how to integrate this powerful new tool in your production pipeline. 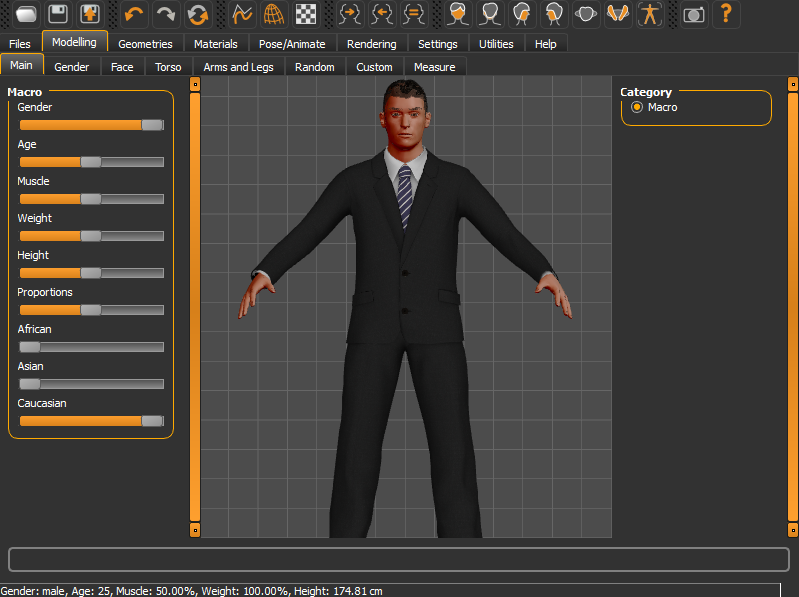 Slate is a new cinematic tool for Unity by Paradox Notion, the creator of NodeCanvas. 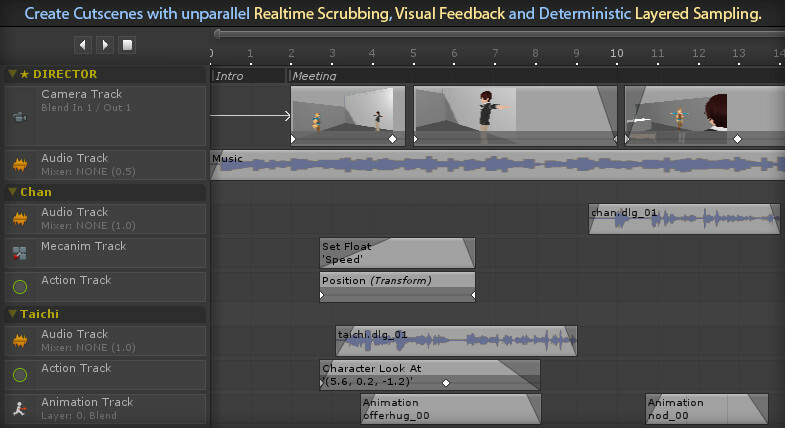 This promising new tool features live preview and multi-layer animation tracks. It also uses a camera control system that requires only one scene camera. Sequencer seems to be replacing Unreal’s Matinee soon. Features of the sophisticated new timeline tool were shown at GDC2016. It’s available to download now from Github, but will be included in upcoming releases. Features include a scrubable timeline with previews, and a host of camera controls and presets based on real world lenses. 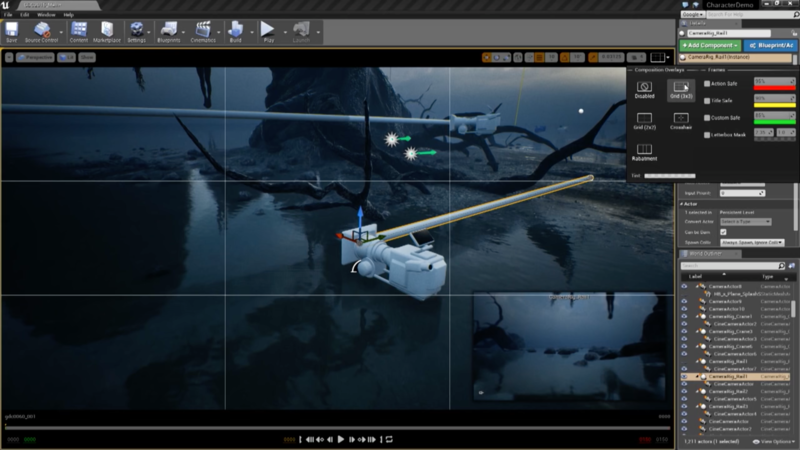 Director Tools is an Unreal Engine 4 plugin which works seamlessly with Editor. 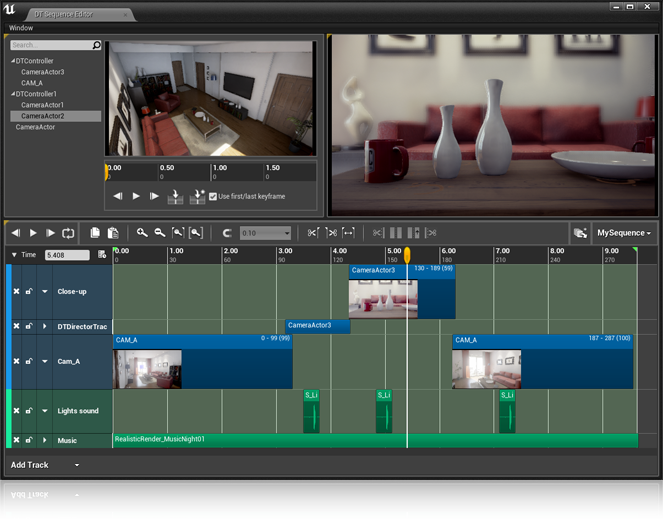 Although several timeline editors exist for Unity, this is the first 3rd-party timeline for UE4 and it looks great. 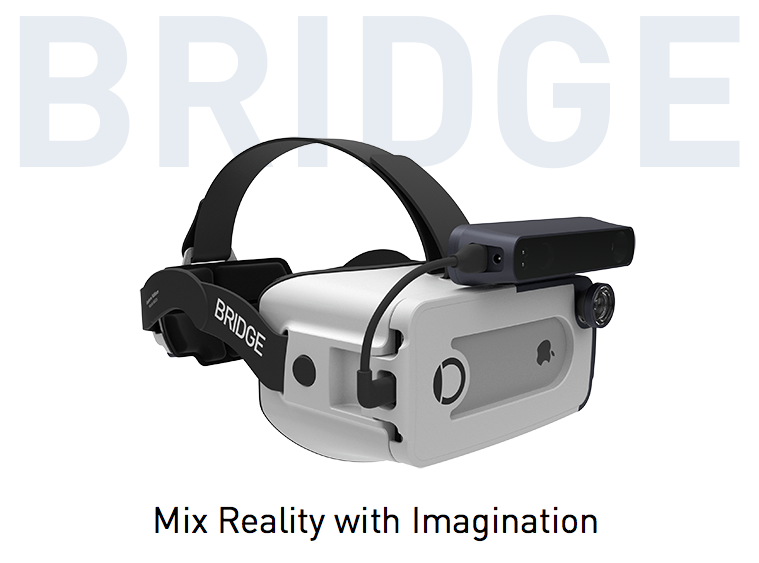 Features include image sequence export. Licenses are around $50 and $200.